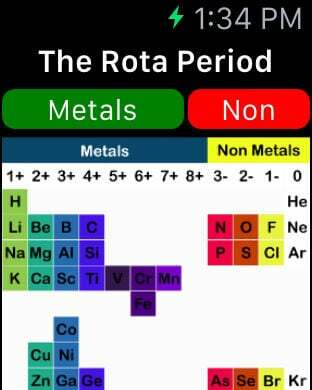 Similar to Mendeleev's original periodic table the Rota Period (Rota's Periodic Table or Rota Periodic Table) is based on displaying valences (+/- charges); not orbitals, which makes it a very practical tool for everyone that is easy to teach, easy to learn and easy to remember. * Physics-based animated nuclear display shows the nucleus of each element + their orbiting electrons for better visualization of the elements and understanding theories. 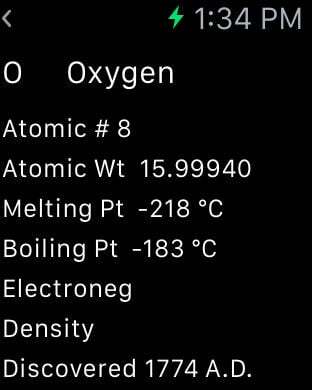 * Apple Watch component. Good things come in small packages! 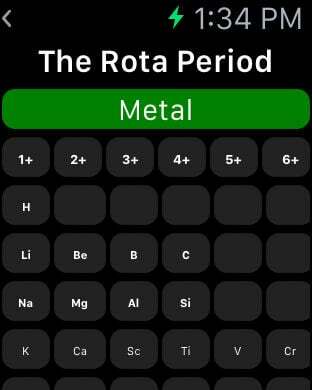 This easy to navigate Apple Watch component allows you to browse Metals and NonMetals and get to the Element data quickly and easily. * Futuristic background music by The Unified Theorists (www.unifiedtheory.com). 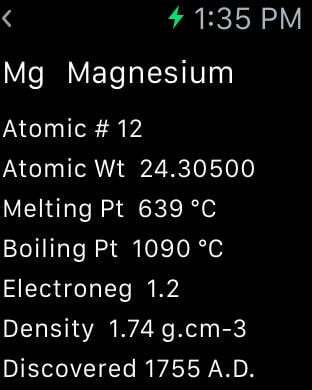 The following data is included: Atomic Number, Atomic Weight, Melting Point, Boiling Point, Heat of Fusion, Heat of Vaporization, Heat of Atomization, First Ionization Energy, Second Ionization Energy, Third Ionization Energy, Electrical Conductivity, Thermal Conductivity, Electronegativity, Ionic Radius, Van der Waals Radius, Density, Group, Period, Class, Known Valences, Orbital Class, Orbital, State, Radioactive, Year Discovered.